as it has a lot of spices and pepper. It ‘s goes extremely well with steamed white rice. Cut the pork belly in 1*2 inches size or you can dice them the size you like. 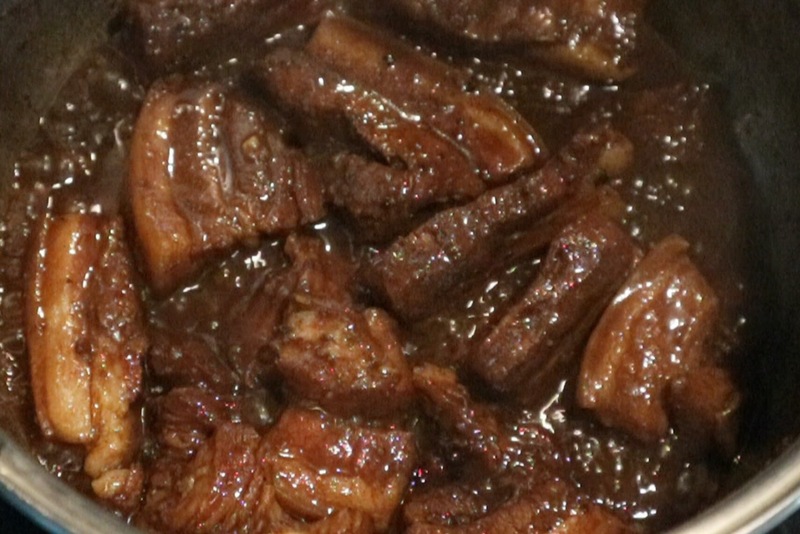 Combine the brown sugar, pepper, salt, garlic clove, stew powder , soy sauce and sweet soy sauce in a bowl. Mix pork belly in a bowl and set aside for 1 hour. 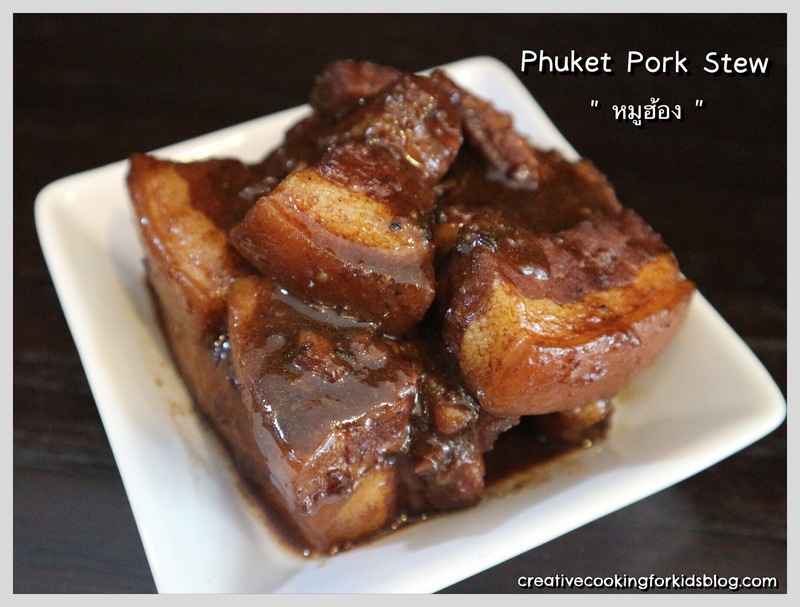 Heat the pork in a frying pan. Add water and stew in a pot for 1 hour.